More than three weeks without posting anything new… Finally, here’s a little something. 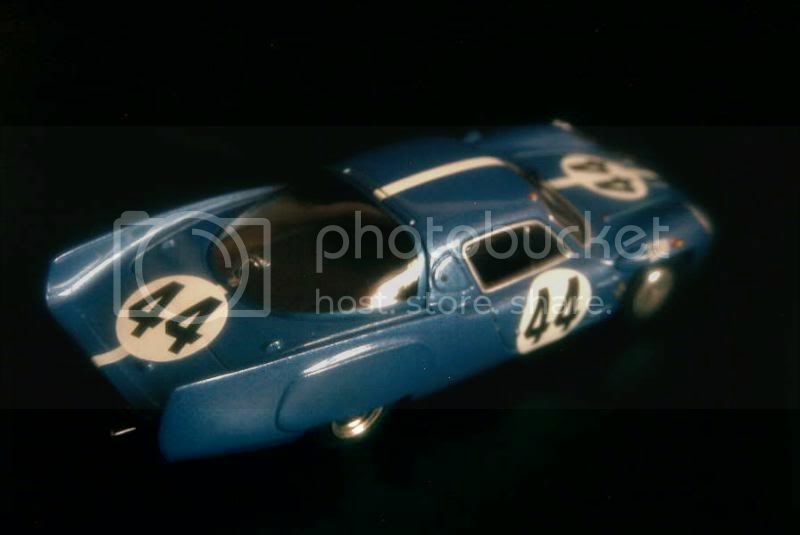 Alpine took over in endurance racing where DB, which vanished after splitting into the CD and René Bonnet outfits, had left: building cars dominating the lower classes of the sport, thanks to perfect tuning and advanced aerodynamics. The Dieppe company could rely on Renault to provide the engines needed for its machines. As a French company, Alpine made Le Mans its main objective. Obviously its initial entries had no ambition in the overall rankings, but coveted classes victories, index of performance (a ranking comparing distance covered in twenty-four hours versus engine displacement) and the recently created index of thermal efficiency (which took distance covered, weight and fuel consumption into consideration). First try was in 1963, and didn't prove a happy one. Alpine had brought three M63 prototypes to Le Mans, all equipped with small 1.0-litre engines borrowed from the Renault 8 Gordini. Bino Heins, son of the Alpine importer in Brazil, crashed during the sixth hour and was killed. The two remaining Alpine later retired, the last survivor shortly before the end of the race, while it had run as high as tenth before being slowed down by engine problems. In 1964 Alpine returned with four machines, two M63s and two M64s, the latter being only a slight evolution from the older model. Engines were bigger, and all four cars were now classified as 1150cc prototypes. Reliability proved much better that year, only one car retiring late in the race. The fastest of all three remaining finished 17th, while winning both its class and the index of thermal efficiency. 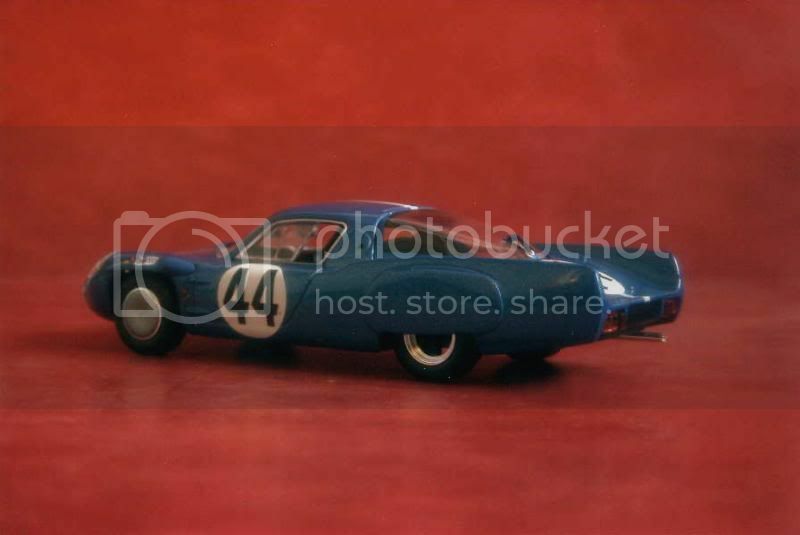 For the next edition of the race Alpine came with no less than six cars of types previously seen, a serious attempt that came to naught as all of them retired in succession – too bad as they were easily dominating their only rivals, the Austin-Healey Sprites. A new design was needed; it appeared in 1966 as the M66, better known as the A210. Seven cars were prepared, and though only six actually raced, who could dream nowadays of such a works team? Success was back, triumph even as four cars saw the chequered on Sunday afternoon, finishing 9-11-12-13 overall, dominating their class (their closest rival, a Mini Marcos, finished 52 laps down while all Austin-Healeys and ASAs retired) and placing themselves 1-2 on top of the index of thermal efficiency's rankings. The Alpine A210s were successful again in 1967 – nothing was left to chance as there were eight of them on the grid, seven being works cars in name or in fact, while the eighth one was an ageing M64 entered by Luigi Chinetti’s North American Racing Team, much better known for racing Italian thoroughbreds than small French machines. The Alpines took 9-10-12-13 that year, winning both the 1300cc and 1600cc classes, the latter being challenged for the very first time by one of the blue cars, fitted with a Renault 16 engine. The index of thermal efficiency went to the Ford GT40s, which compensated their monstrous appetite for gasoline by astonishing performances. Great changes took place in 1968. Prototypes of no more than three litres of displacement were to be the norm in endurance racing, though a last-minute correction of the rules finally allowed 5-litre sportscars for four seasons more. Despite the backing of Renault, Alpine probably overstretched its own capacities, launching its onslaught onto no less than four different classes at Le Mans with nine cars. For the time being, the effort seems to pay: Alpine finished 8-9-10-11-14 overall, winning three classes (1150, 1300 and 1600cc), plus the two indexes. If five of the cars were the well-known A210s, four were of the new A220 type: a heavier, faster Alpine which, fitted with a 3-litre engine, aimed now at no less than an overall victory. 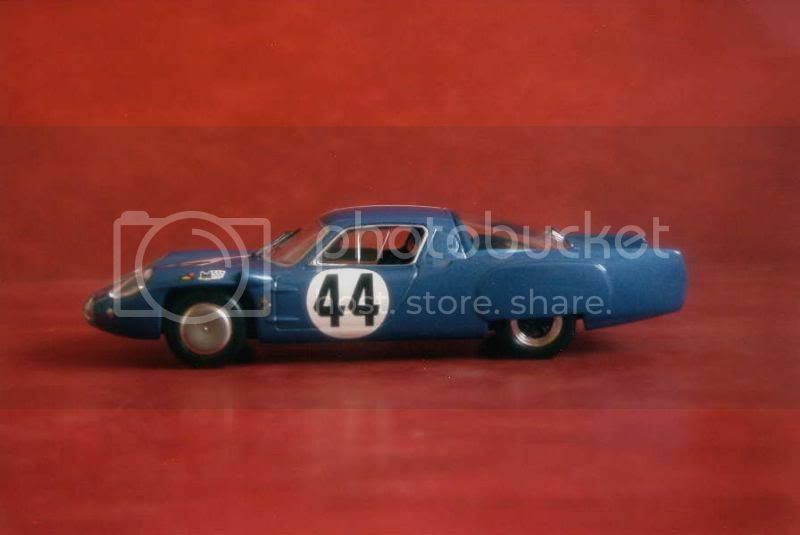 Unfortunately, while the Renault blocks powering the A210 were sturdy, the A220 engine, specially built by Gordini as the Régie had no road car with such a large displacement, proved fragile. The last lines of the first chapter in Alpine’s sportscars history were written in 1969. Le Mans proved a serious disillusion. Out of eight cars entered, equally shared between the trusted A210s and the faster A220s, only one A210 reached the finishing line. Though it won both the 1150cc class and the index of performance, the result was meagre. More than ever the A220 had disappointed the hopes of both its creators and the French public. 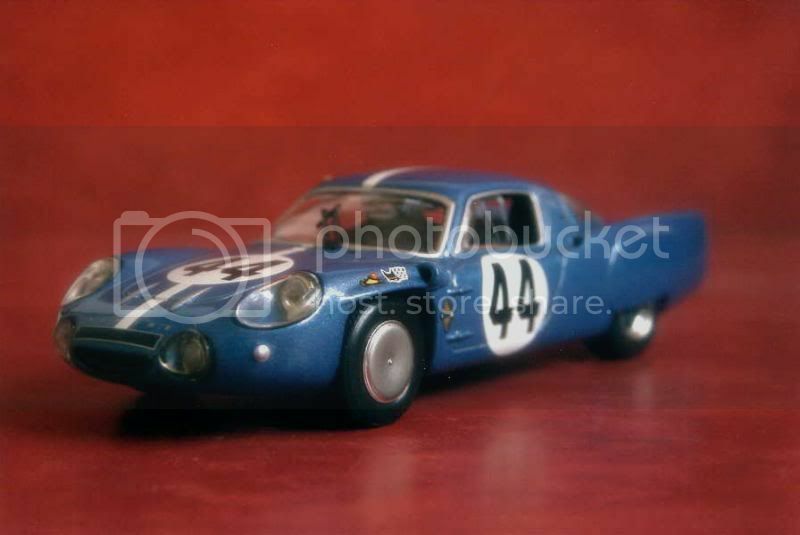 With most of the national support, notably from the major sponsor Elf, going to rival Matra, Alpine withdrew from endurance racing… for the time being, as with an ever-increasing support from Renault, it would return as soon as in 1973 and develop the A440 to A443 series that would finally bring the company a first place overall at Le Mans five years later – but I’m too voluble here, as it will be the topic of another post. I definitely like this model, nice enough to be given 14/20. Not to put to the sole credit of Ixo, but rather to share with that of the engineers at Alpine, this die-cast is truly beautiful from any angle. i love thelines of this car, its a little similar to the alpine renault they used in the rally version which i'm still hoping to have. You're refering to the A110; I still miss a few pictures of the larger scale models I have to make a post about it, but it'll come. 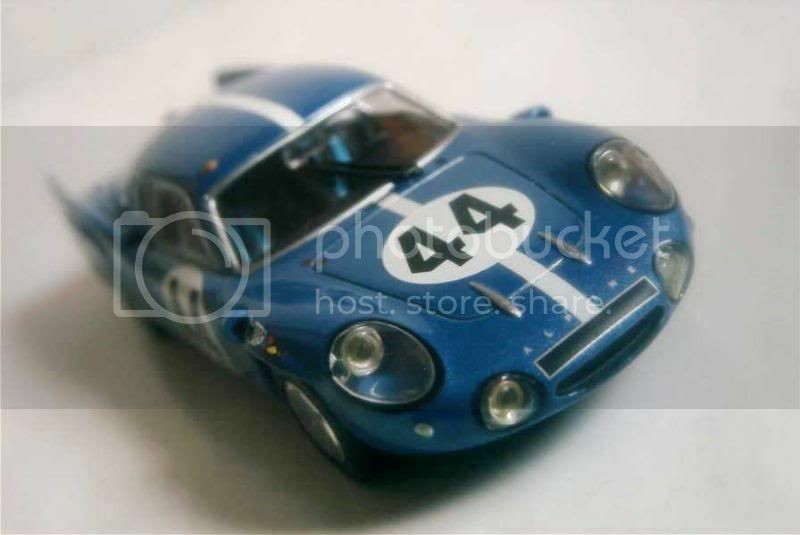 You surprise me a little bit saying you don't have one yet as even in Manila the A110s aren't so rare - I remember mountains of Maisto A110s in 1/18 in Toy Kingdom just a few years ago. 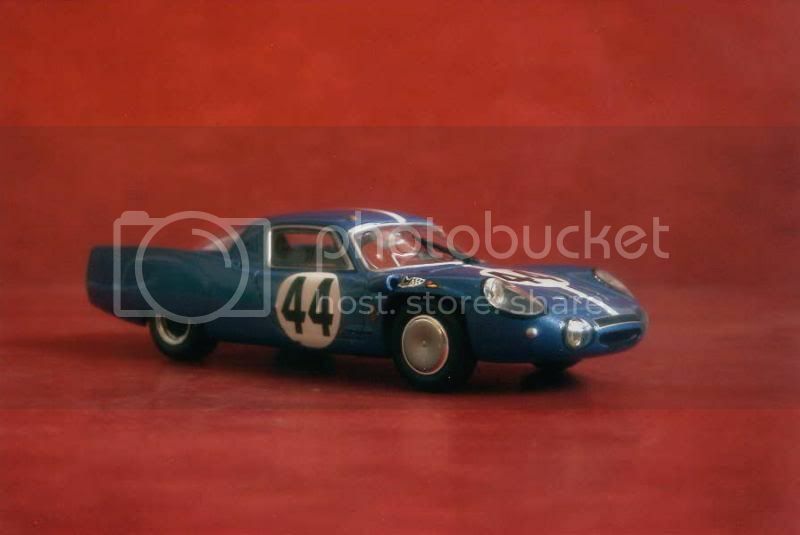 But it's probably true that 1/43s are more difficult to find - though I'm selling one right now though, so if you're interested, just let me know ;). Ah yes! its the A110 rally version that i missed, thanks for the info! :-) Actually, I'm only into 1:43 rally cars, thats why I seldom get those very nice 1:18s except if its a Mitsubishi Lancer Evolution. Someone was supposed to trade me his A110 but until now i haven't seen him, if it doesn't push through, i'll definitely get that from you. Also, can i ask if you have any Opel Manta 400 (2nd gen) rally car for sale? I just checked: no Opel Manta 400 apparently. I do have one myself but don't remember for sure ever having had a spare for sale. 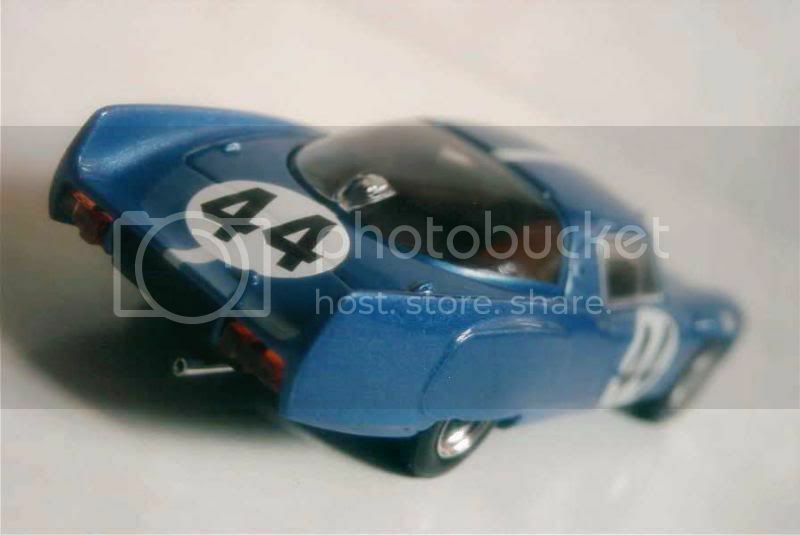 So, if you're looking for an Alpine in 1/43, I reckon this is much harder in Manila. I always had some for sale, but they're all gone except for the one I mentioned. Just let me know, and in any case, thanks for your interest! Largo y bello, un monstruo de Le Mans en los años sesenta. Indeed a beautiful car, present every year at Le Mans during those times to compete for class wins and annex prizes. Lesser know perhaps than its contemporary Ferrari or Ford counterparts, but equally attractive.